Despite the snow and cold, Galaxy Festival 2019 prevailed! Activities included dress-up days, lunchtime competitions, festival court, basketball games, and much more. 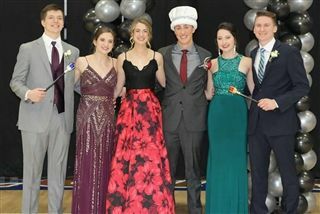 Garrett Pomeroy was crowned Festival King. The week capped off with a dance Saturday night which included a balloon drop with gift cards and glow-in-the-dark fun.